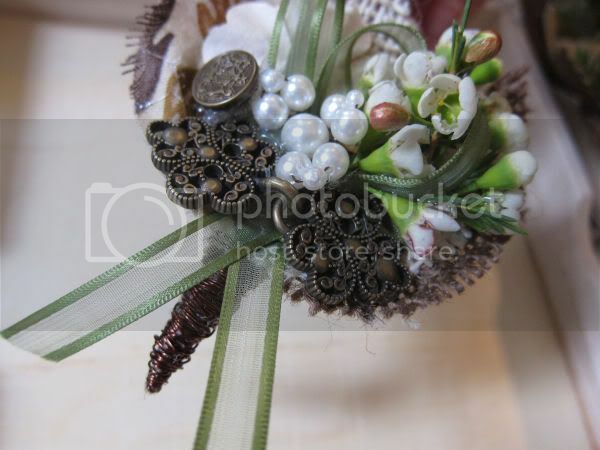 As they were going for a carefree-spirit wedding, they used brown and tan burlap as the overarching theme between the boutonnieres and corsages. 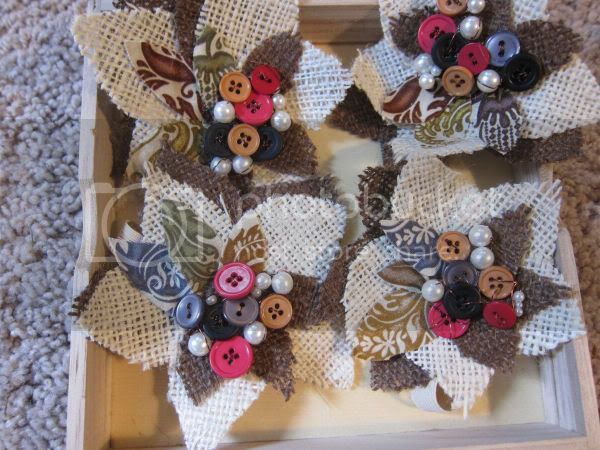 My friend did all the boutonnieres by herself and I absolutely loved them. 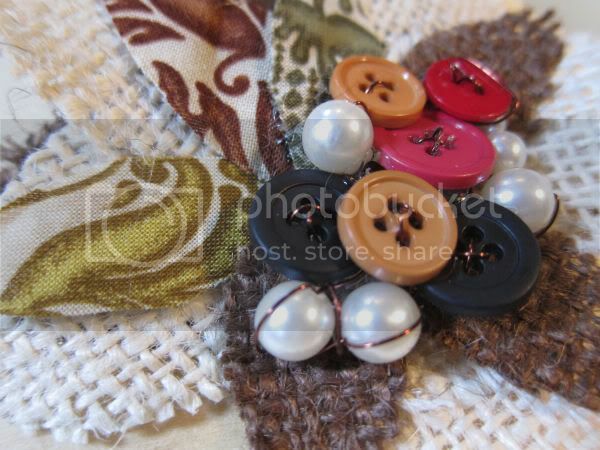 I loved how the fabric was layered, the choice of a few bold beads and the bronze wiring at the bottom was my favorite! 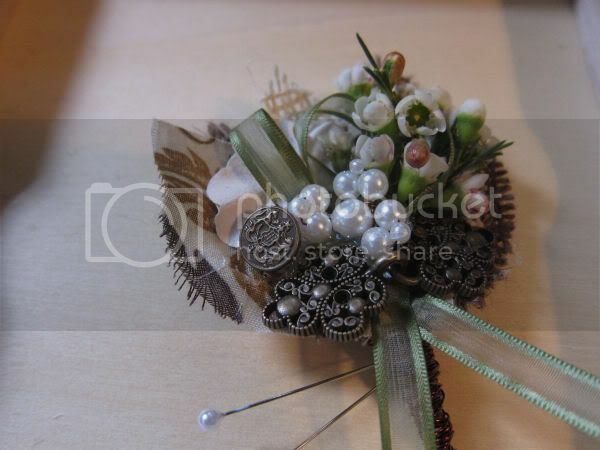 The wax flowers were added just before the wedding and finished the boutonniere out to make it complete. 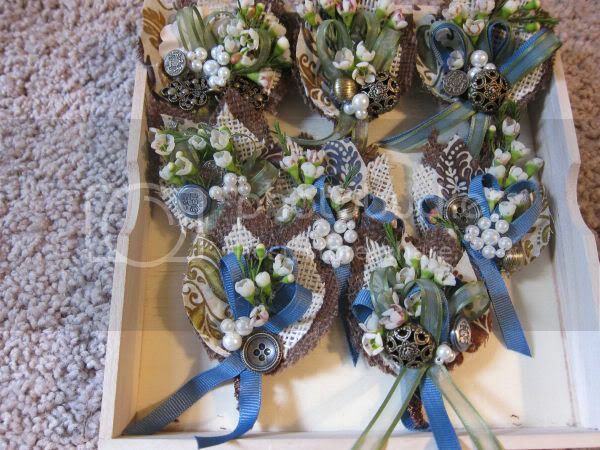 The bridal party was huge, so we made a bunch of boutonnieres and corsages. 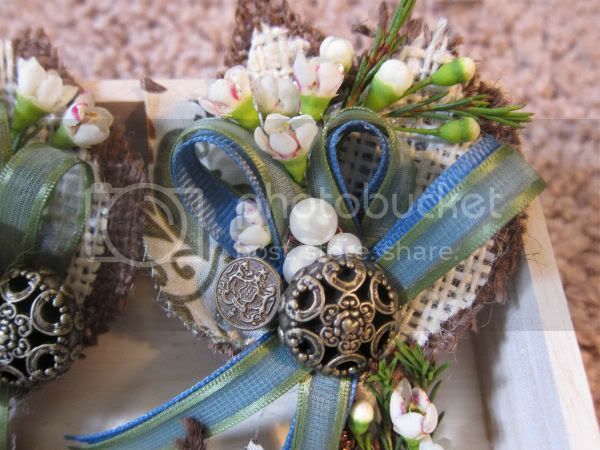 The grooms boutonniere is at the bottom, with the three waves of double ribbon. 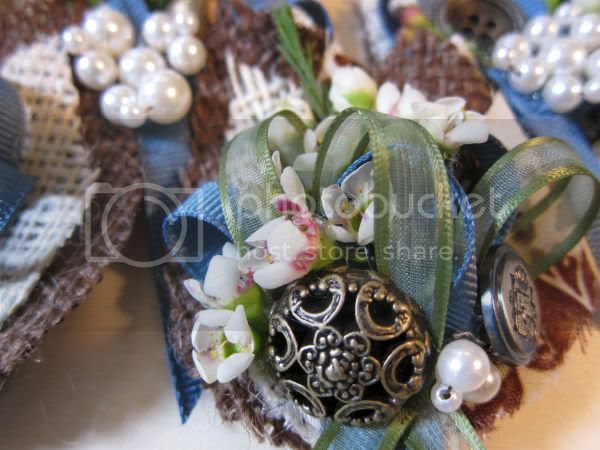 The corsages were relatively simple, which I was in charge of. 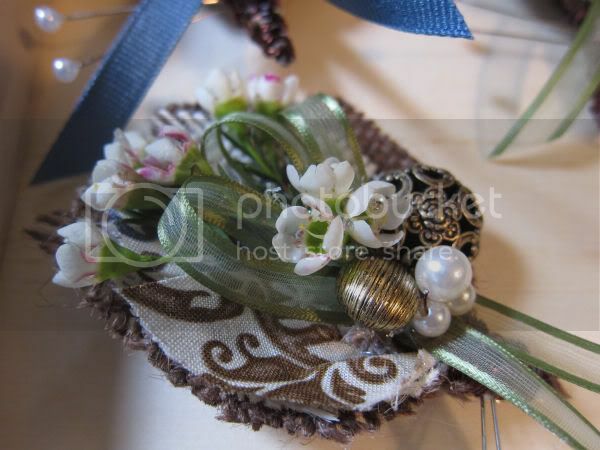 My friend came up with the basic idea, which I embellished a little with multiple petals and the bronze wiring of the beads. 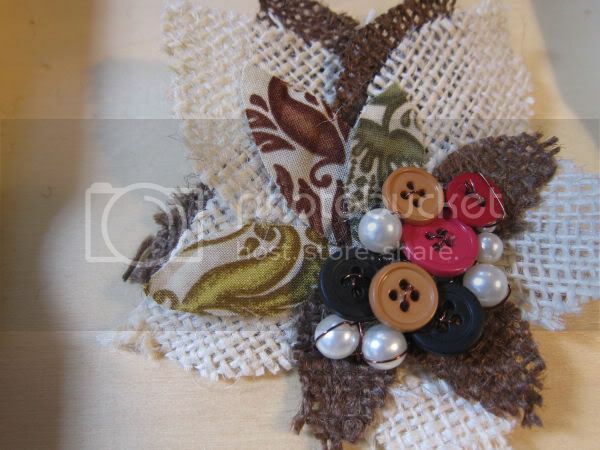 They were attached to elastic wristbands to avoid ruining dresses. 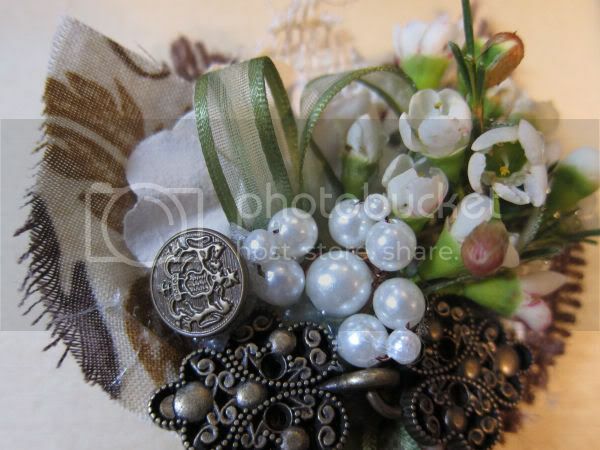 I wasn't really quite satisfied with the corsages, but we knew that they were more along the lines of what the bride had in mind, so we went for it. All in all, it was pretty fun helping out with my first wedding. I can't wait to be involved with more in the future!